Year 3 going year 4 is hell damn lot of stress. Seriously no time to do homework and also nua-ing most of the time. Weekend is almost like play time, out gathering with Lester’s secondary school friends and chilling sessions with my university. I can’t deny that i slept the more as the year progress. Something serious happening on Monday this week. Somebody put a camera on the window glass panel (hand-free), video record my sister changing in her bedroom (which is along the corridor). Surprisingly, it is like 7:30am in the morning. Wonder who the hell will know that this particular household has a woman faithfully changing her clothes at the point of the time? We are terrified actually. I hope it’s not someone who stays in my block. We have left this case for police investigation liao. I was updating my portfolio with Coroflot and found something interesting about what they have conducted these years. Salary survey of the design industries… Check it out! My jug of container has actually overflow long ago. It is recommended, as always, to empty every now and then so that you can stay psychologically healthy. But i can’t find my right channel. Firstly, i don’t want to be a bugger, telling people my problems. Secondly, many people talk without knowing that what they say have a great impact on the other(s), they just ramble on stuff that aren’t beneficial to me. Thirdly, i dun talk for the seek of talking. It’s not that i’ve chose to confine within myself, but seriously, i know myself best. I will talk eventually, with the right person and the right time. Anyway, i just feel utmost unhappy this moment. Previously, my photography works are exhibited in AMK’s library for about 2 weeks. This time, it’s a group exhibition with the rest of the photographers in Bugis Central Public Library. The compilation is curated by Chris Yap, forming narratives using our works. People are recommended to visit level 7 then level 8. I’ve uploaded some images to facebook. Feel free to come. These few studying years have make me a more stubborn person. I don’t easily comply or agree with others, instead i will purposely go against the crowd. Even if i’m wrong, i’ll think i am right. I get very particular into details, almost feel disgusted when things are out of my control. Lester says i have split personalities, an angel (only when asleep) to a demon (most of my time). Maybe these kind of altitudes work best for a photographer than a graphic designer. Photography is objective ultimately. It is a self-fish representation. The framings, colors and moods are already filtered by the photographer himself, what you see is what he wants you to. I think this year’s Chinese New Year happens way too early, i kinda get mix up with the season. 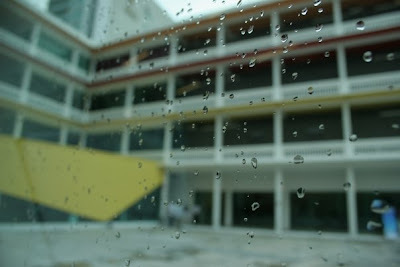 March is always raining because of qing ming. 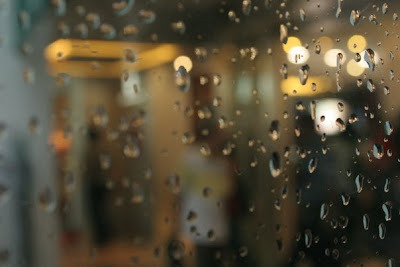 Raining is always a time to stay indoor, be quiet and reflective.